The LG Unpacked event kicks of in less than 20 minutes, so whilst you wait how about looking at the LG G2 side-by-side with the Samsung Galaxy S4. Before we move on please do watch the live stream below. 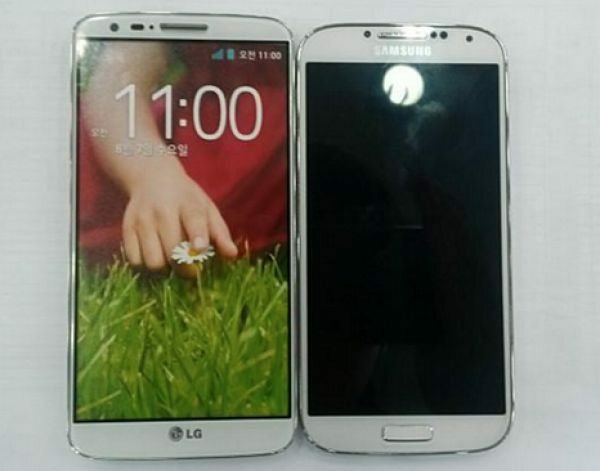 Two more photos have leaked online showing what the LG G2 will look like up against the Samsung Galaxy S4; once the G2 goes live we know many will be gagging for a comparison of these two smartphones. In these photos you will notice both are of the white color variety, which is great because it makes it easier to compare the pair. The LG G2 will have a 5.2-inch display and you can see this size difference compared to the Galaxy S4, the G2 has thinner bezels as well if you look carefully. If you look at the rear of these phones you will notice the LG G2 has a new button that offers volume control and self-portrait snapping made easy with your index finger, there are no physical buttons on the LG smartphone unlike the Galaxy S4. Instead the G2 comes with onscreen buttons to maximise space at the bottom of the G2, would you have preferred physical buttons on the LG G2? The LG G2 is expected to come with the same 13MP camera as the Galaxy S4; obviously we will provide a comparison comparing these two smartphones at a later date, possibly later today or tomorrow. 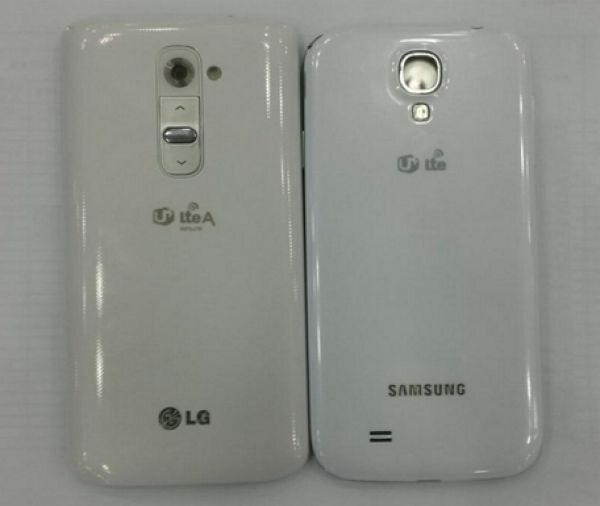 Whatever way you look at it the LG G2 looks rather similar to the Samsung galaxy S4 when it comes to the design. You can watch the full LG Unpacked episode 2 event live stream below.